We offer Weave Fabrics to our clients. 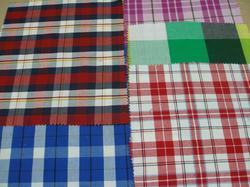 We are the manufacturer of all kind of woven fabrics. We have the own source for fabric. So we are exporting the goods on time. We can supply Grey Woven Fabric in widths ranging from 48, 50, 54, 60, 63, 72, 96, 108. Production capacity 3 / 4 lac meters per month. We are looking for Bulk queries only. - Shirts, Shorts, Pants, Pyjama Sets. Etc. - Blouses, Skirt, Capripant, Pyjama Set. We specialize in offering an wide range of Woven Acrylic Fabric. As this fabric is uniformly woven, it is ideally used for stitching apparels as well as home furnishing items. Intricate pattern designs of this fabric suits the aesthetic taste of the clients. 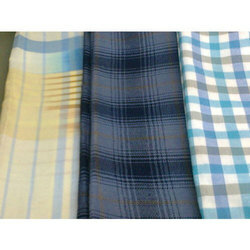 We offer high quality range of Dobby Weave Fabric. It is a skin friendly fabric and therefore is chosen by designers to create beautiful attires. It is made by using top quality material and latest machinery by our experts. We offer our range at market leading prices.